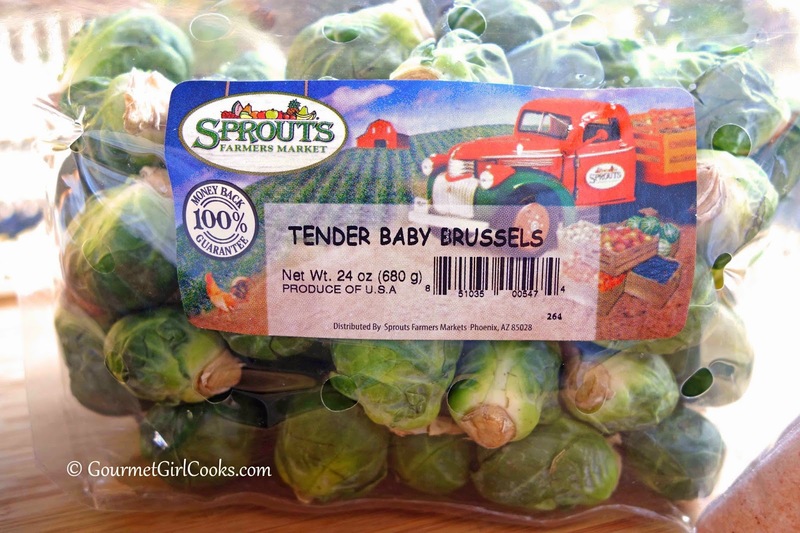 This weekend we ran our errands that included a stop at Costco and Sprouts Farmers Market (two of my favorite places). I snapped some photos of a few of my finds. I baked a batch of my grain free Power Bagels yesterday so we are headed out now for breakfast - have bagel, will travel! We awoke to temps yesterday and this morning in the low 40s...yes, it's actually colder than normal. The air is crisp and fresh and gorgeous. I had some internet and cable issues last night when I was getting ready to post these finds so I'm getting them out this morning before I head out for breakfast. 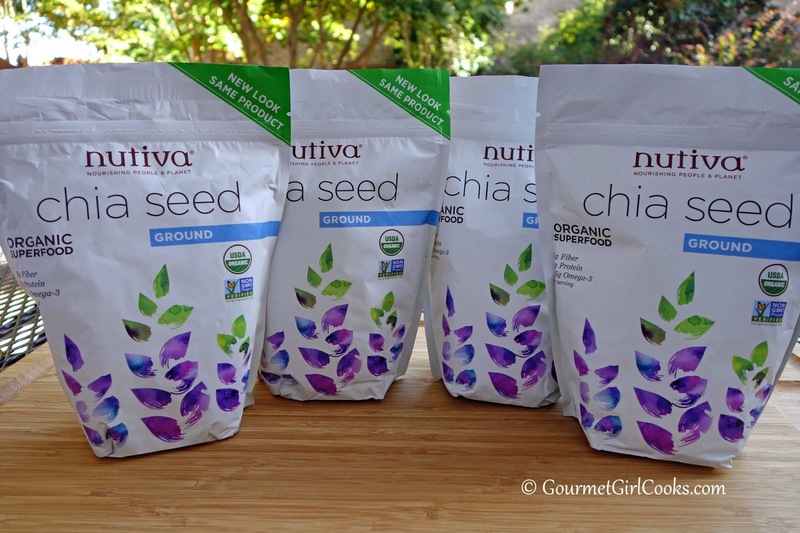 I found some Nutiva ground chia seeds at Sprouts this past week at half price (normally $12.99 per bag); I got them for $6.49 each. It's still probably cheaper to grind them yourself, but I like having them available for convenience. If you like lamb, they had lamb shoulder chops...really nice ones, for $2.99/lb (which is $4.00 off per pound). 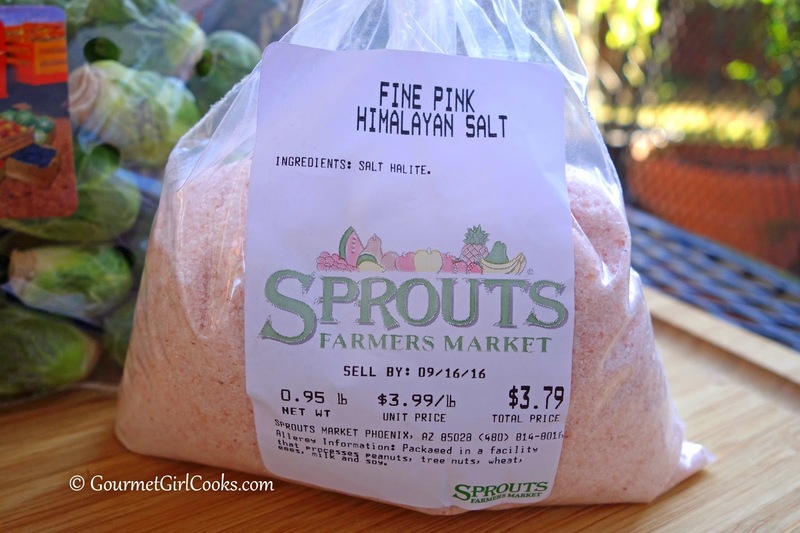 I found bulk pre-bagged Pink Himalayan Sea Salt (one of my favorite sea salts). I also found new cooking sprays that don't cause any build-up. They have no propellant in them (by Pompeian). 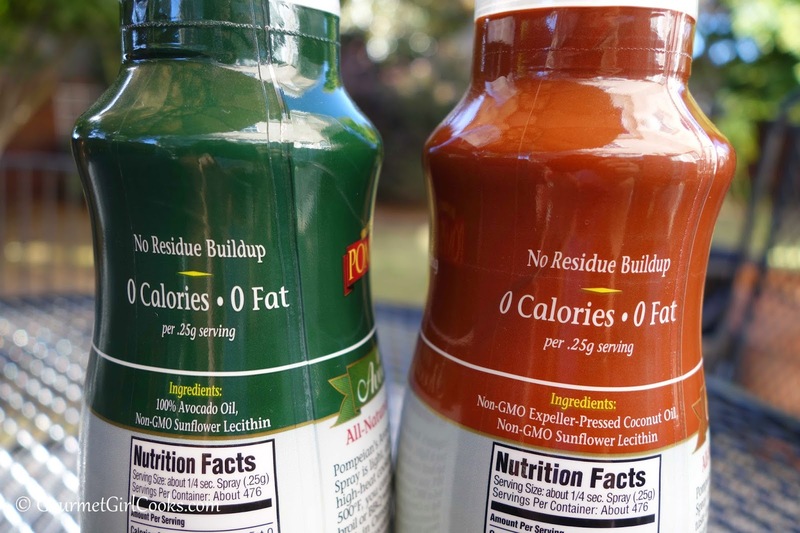 I bought their coconut oil and avocado oil versions. 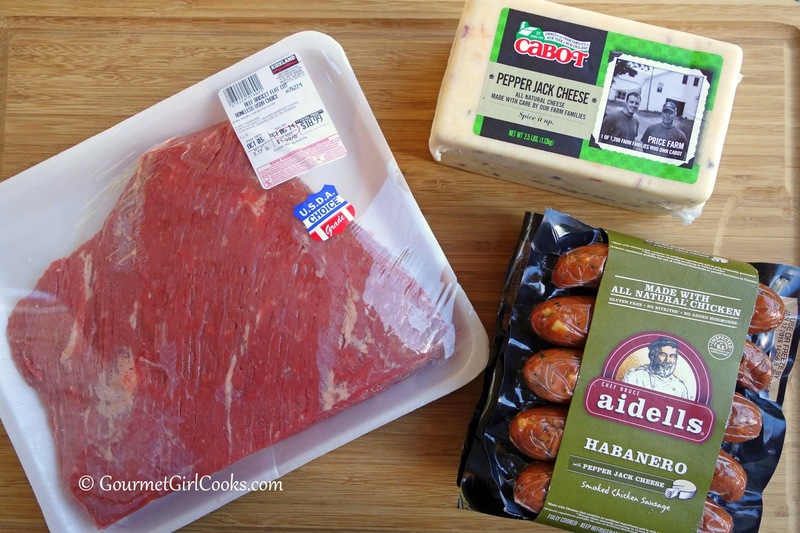 I picked up some Aidells Habanero Smoked Chicken Sausages, Cabot Pepper Jack Cheese and a beautiful brisket at Costco. 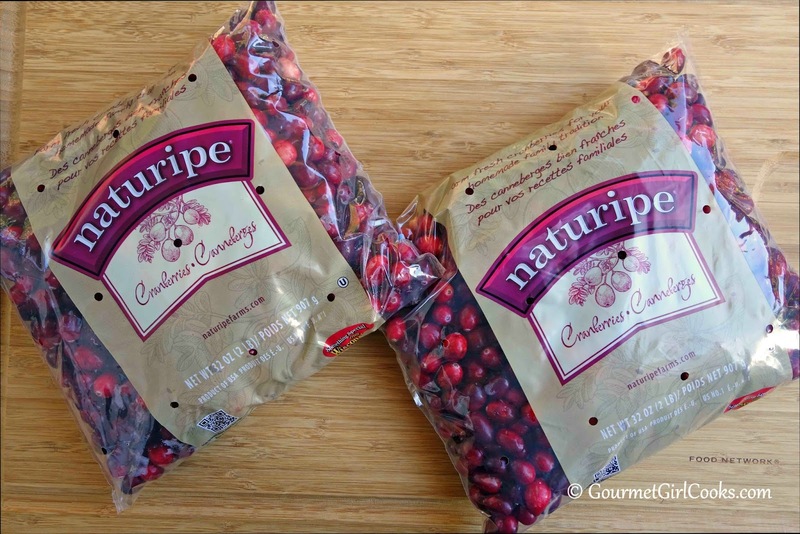 The BIGGEST news at Costco is that they now have fresh cranberries in...YAY!!! I bought two 2-pound bags. Lastly, I've spent the last few evenings running around all over the place trying to find a case for my new phone that just came a few days ago. 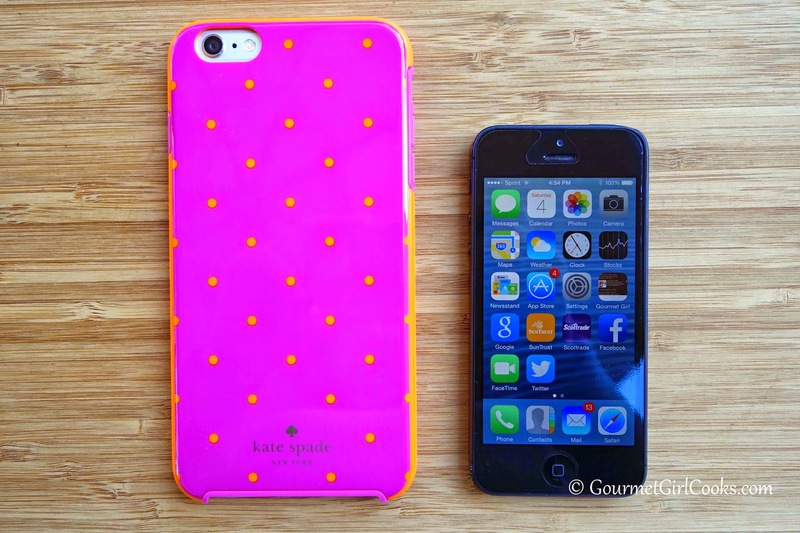 I had an iPhone 5 and switched to an iPhone 6 Plus (the bigger version of new iPhone). One of my sons tried to discourage me from getting the larger version, but I carry it in my purse, I'm not putting it in my pocket like him. He said I would look like a "clown" with that big phone...so, in honor of all clowns, I bought the only appropriate case I could find...one that I'm sure only a clown would carry! Hahaha! I snapped a photo of it so you can say you've seen a clown phone! ;-) Enjoy! Clown Phone on the left -- old phone one the right! I Love your latest "finds" ... especially your Clown Phone! 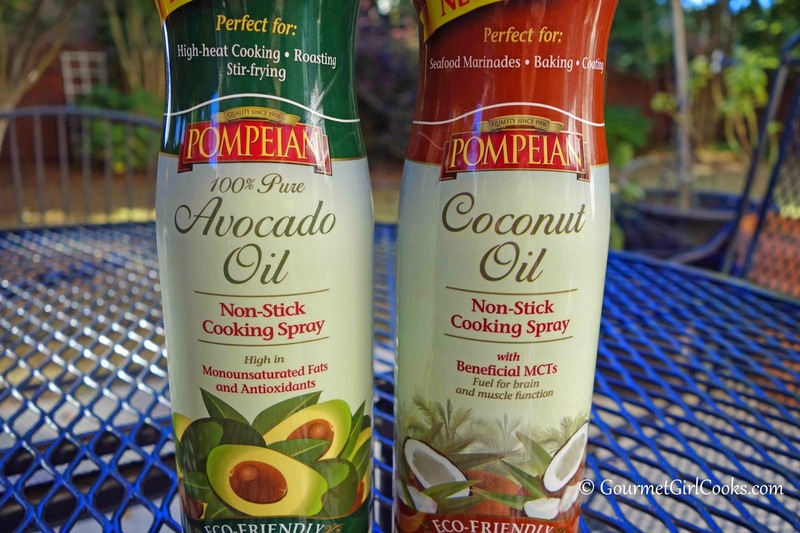 :-) I'll have to see if I can find the Pompeian cooking sprays ... just what I'm looking for. YAY is right ... I bought LOTS of cranberries yesterday, too! I have a Samsung S4 and it is large as well. 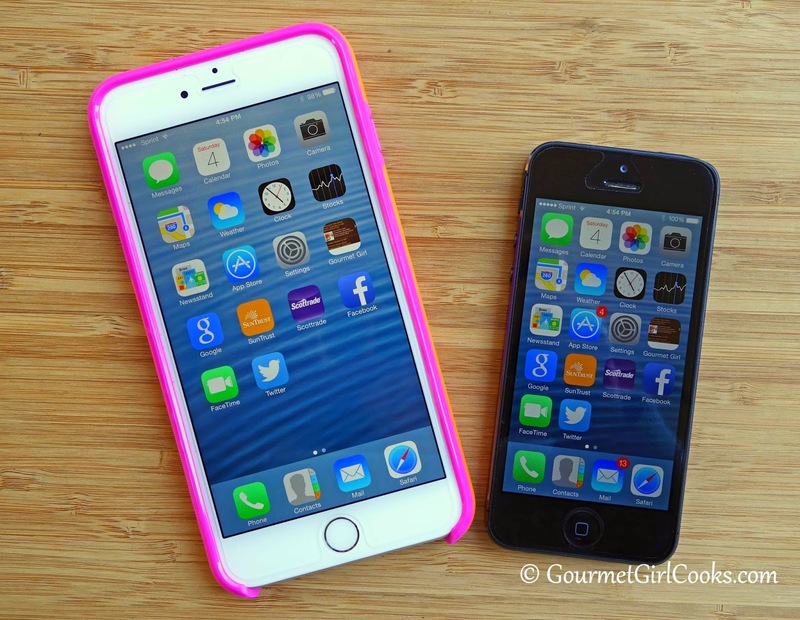 The iphone 6 is about the same size. It's a two hander for sure. 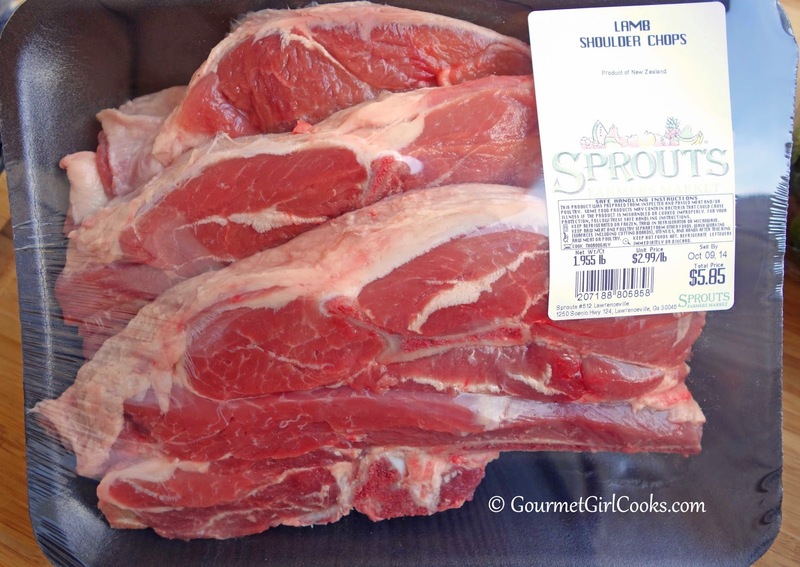 I wish we had a Sprouts here, I've been to the one in Carrollton, Texas (visiting my sister). The deep south hasn't caught up yet with our "shopping needs". P.S. the spicy beef and cabbage soup is delicious. I used one small chipotle pepper instead of the chili powder and it was perfect! I just got my new iPhone Friday. I wasn't going to get one either since I liked my 5, but they offered us the phones free if we re-upped for another two year contract and turned our old phones in. We got the 4.7 since the other one seemed too big for me. My son sent me a case for the phone, which I didn't know. I bought one that was coming Monday, but Amazon shipped it right away, and I got it last night. I also have a red one on order that was not supposed to ship until Oct. tenth, but it has already shipped, so somehow I will have three. Fortunately my son doesn't have one so he can take one of the cases off my hands. The painful part of giving up my 5 was that I had a case that looked like a 50 pound Bank of England note. It was pink and had the Queen on it. I am hoping to find one like it for my new phone. Which means, yes, I will again have three phone cases! Not a clown at all. Can't beat PINK. I was so excited to find the cranberries! I can't wait to make cranberry sauce and muffins, etc. with them again. Hope you like the tomatoes. Sometimes I used them on pizza instead of sauce. I've added them to a roast in the crock pot before too. I hope your Costco gets the "antioxidant fusion" -- it's $14.99 for a 24-oz bag and it lasts a long time. I've made numerous batches of power bagels and still have plenty of fruit in the bag. I have a spare bag in the pantry too (just in case they stop carrying it). My big Costco find of the weekend was Honeyville Super Fine Blanched Almond Flour and only $17.99 for 3 pounds! that averages out to $10 less than what I was paying for it online! I haven't been to Costco in ages (I usually shop Sam's) but I am so happy to see how much organics they have now, I guess I'll need to switch! Wow...that really WAS a find! My Costco doesn't carry it in the store but I have ordered it online from Costco before. I hope they carry it my area soon. I would actually love a Hello Kitty phone cover! When my daughter was little, she loved Hello Kitty and I love that is still around all these years later. I bet you are right about that! Maybe add a smidge more fruit. What is so funny though is that not long ago I actually bought a pan very similar to the Wilton pan you sent a link for! It's a "Food Network" mini-loaf pan with 8 mini loaf wells (instead of 6 or 9). Is that funny or what?? ?